Erika Lopez is representing Washington County on the Oregon School Boards Association. Hillsboro School District board member Erika Lopez has been elected to the Oregon School Boards Association, representing Washington County. Lopez, who was elected to the Hillsboro School Board in 2017, will serve her two year term on the board, which serves school boards in public schools, charter schools and community colleges across the state. The group advocates for state and federal laws related to education, offers training for school board members and offers legal and financial services. 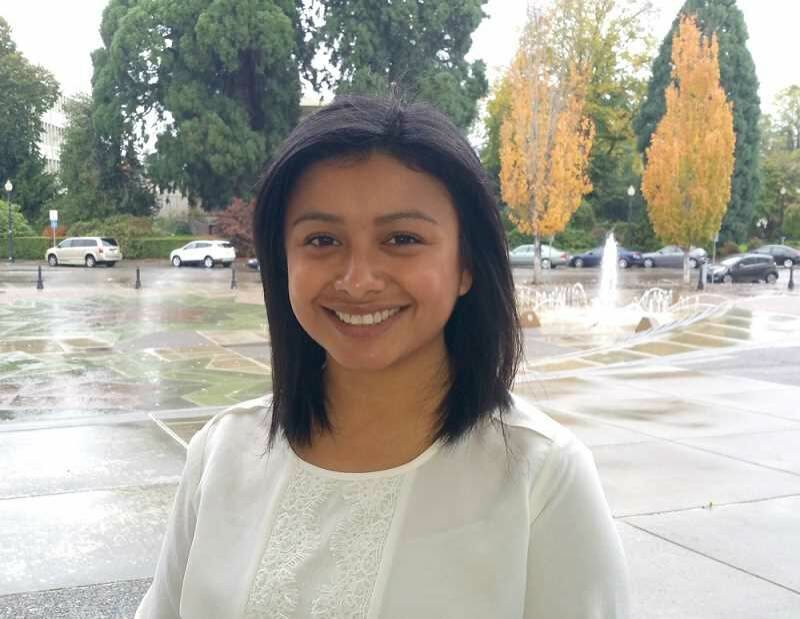 Lopez, who is Latina, has focused her time in Hillsboro on closing the opportunity gap between white students and students of color. In Hillsboro, more than 36 percent of students identify as Hispanic. Lopez has also focused on issues of representation, she said. School boards often lack representation, Lopez said. "I think the same problems that you see that affect students of color in our education system are the same issues that affect school board members in OSBA," Lopez said. "They are still an institution that historically has not been diverse, and although well-intentioned, have not been prepared to serve different needs. School board members of color come with those and come with different lenses." Lopez said serving on OSBA's board will give her a larger platform to promote adequate representation in education. "It's the same story that's happening in our school district," she said. "For me, being on OSBA's leadership, I think that's a great opportunity to try to address those needs or those areas where OSBA can improve in supporting school board members of color, and advocating and outreach to communities of color to know that they can run for school board." The answer isn't limited to increasing the number of people of color who serve on school boards, Lopez said. Boards without diversity can still do a better job representing all types of people. "A lot of our board membership also needs to be trained in regards to racial justice in education," she said. "I think that this would be a great opportunity for our board members to learn more about that, understand what that means, and how, then, do we pass that on to our membership at large?" Many school boards lack board members of color, Lopez said, but OSBA can provide training and understanding "so boards are better equipped to make decisions that support all students." Starting from the top and working down to integrate training into each and every school district's board, even those without any members of color, would help to minimize the opportunity gap that hasn't yet been tackled, Lopez said. Since being elected to the Hillsboro School District board, Lopez has served on OSBA's caucus for board members of color. OSBA has been focused on advocating state lawmakers for increased schools funding. Lopez said she plans to continue that work, as well. "As representatives for all of our other local board members, we really want to meet with our Legislative representatives and make sure that they are hearing what we are hearing from our students, from our community, from our families," she said, "and how our education system really needs to be adequately funded." Lopez isn't the only Washington County school board member on the board. Tigard-Tualatin School Board Vice-chairwoman Maureen Wolf serves as the OSBA's secretary treasurer. The board's past president LeeAnn Larsen is a member of the Beaverton School Board.